If you’ve lived in Milwaukee for a bit, you know about the original Fuel Cafe in Riverwest. But if you’re an unfamiliar transplant, you may have just heard of the franchise with the grand opening of Fuel Cafe in Walker’s Point. The newly renovated 5,500 square-foot warehouse space now houses a coffee shop and retro-modern, full-service restaurant/bar. The coffee shop part of the space has a second-story mezzanine and is great for those that find themselves often working from neighborhood java joints, while the bar is suitable for any sports fanatic and casual socialite. The interior decor is a nod to the edginess of the Walker’s Point neighborhood and pays homage to the biker heritage of the city. The skylights let in a substantial amount of vitamin D and the neon “FUEL” sign contrasts perfectly against the dark-stained wood walls. In addition to the rad atmosphere, the food is also something to note. While the original Fuel Cafe was known for the coffee, latte-laptop work space and grab-n-go style foods, the new Fuel Cafe seems to be its sophisticated younger sibling with oysters on the half shell, cheese plates, craft cocktails and novelty entrées. For starters, their soups are off the charts. 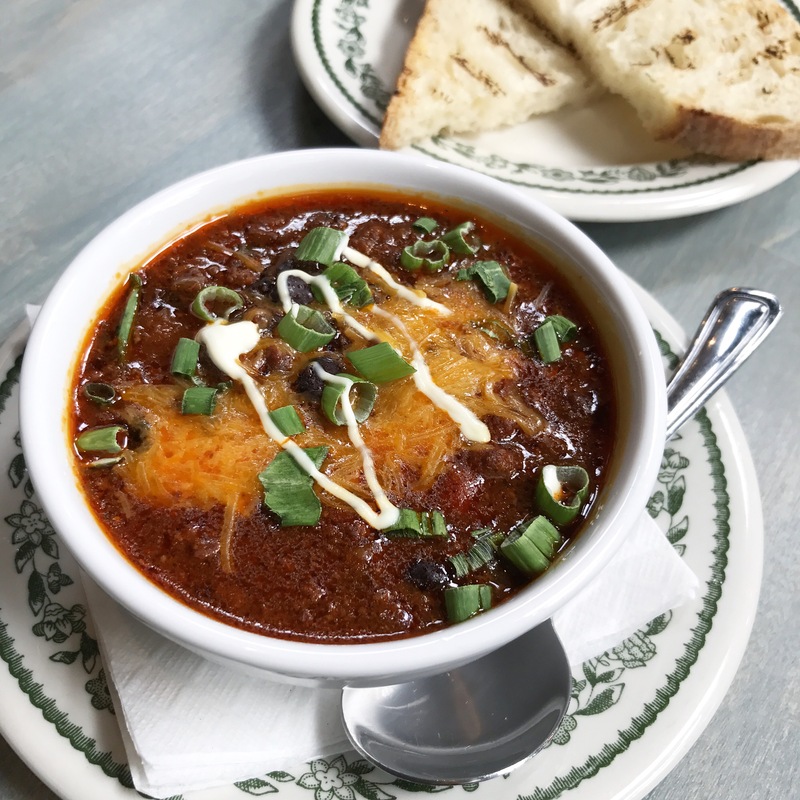 The chili was hearty with just the right amount of heat and served with toasted French bread. The smoked trout chowder is also a winner complete with the creamy richness you’d expected from a chowder with a smokey undertone. Breakfast is served until 3pm daily at Fuel with various toast options including a personal favorite, avocado toast – complete the dish with a poached egg for only $1! Another toast on the menu that I will be destined to order next time around was the smoked salmon (A.K.A. lox) toast. Noteworthy appetizers include the cheese poppers, deep fried and wrapped in wontons as well as the hot Nashville chicken wings (not pictured). The cheesy tomato sandwich, lobster roll, hot dish and Korean bowl were the drool-worthy heavy hitters on the entrée list that seem to be a must-try as well. Side note: for all you non-Minnesotans out there, hot dish is essentially any casserole that includes hash browns in the ingredients list. While the grand-opening specials of $1 coffee and draught beers brought me in, the food and effortlessly cool atmosphere will keep me coming as a regular patron. And with the large bike rack out front, looks like I’ll be making many pit stops to fuel up my food tank after biking around town on my new faithful Solé companion (when it’s warmer out of course).